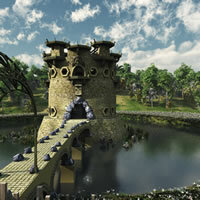 A beautiful fantasy Elven Village Guardhouse with moat, defensive bridge and towers. 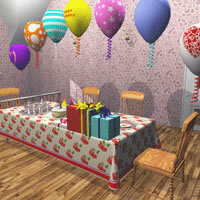 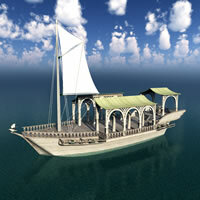 Available for Bryce, Poser, Vue, Shade, MAX and Blender. 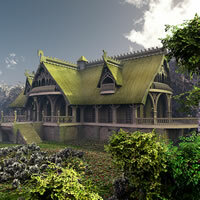 A beautiful Elven Village building of a fantasy inn - with dragonskin roof, carved wood and an ethereal quality. 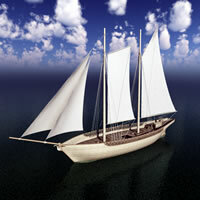 Available for Bryce, Poser, Vue, Shade, MAX and Blender. 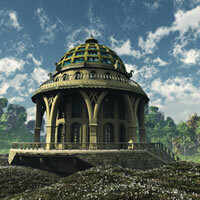 A beautiful fantasy elven market with multiple levels and silver lamps. 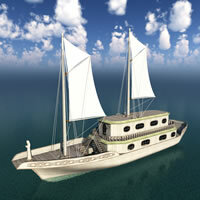 Available for Bryce, Poser, Vue, Shade, MAX and Blender. 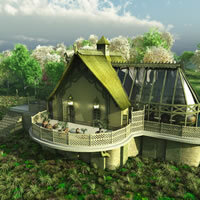 A beautiful Elven Village building of a fantasy watermill - with dragonskin roof, carved wood and an ethereal quality. 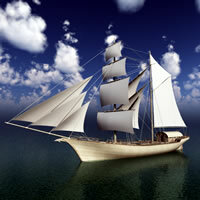 Available for Bryce, Poser, Vue, Shade, MAX and Blender. 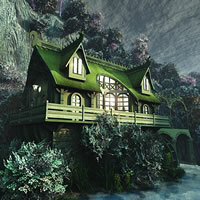 A beautiful fantasy Elven Village building with leafy trellis, greenhouse and growing plants. 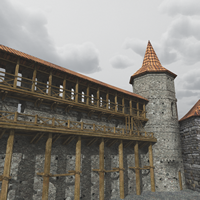 Available for Bryce, Poser, Vue, Shade, MAX and Blender. 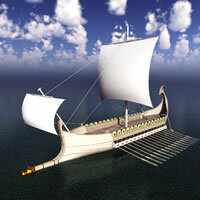 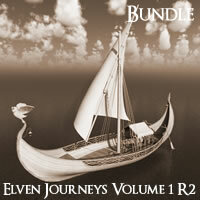 Elven Warship R2 is a 3d model in the fantasy Elven Journeys series for 3DS MAX, Blender, Vue, Shade, Bryce and more. 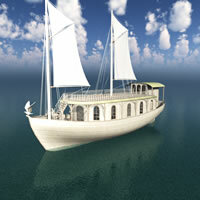 Elven Wizard Ship R2 is a 3d model in the fantasy Elven Journeys series for 3DS MAX, Blender, Vue, Shade, Bryce and more. 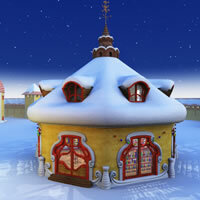 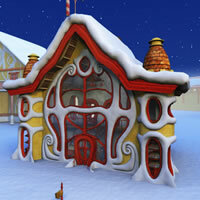 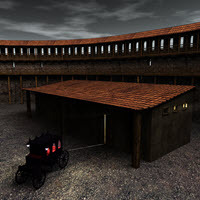 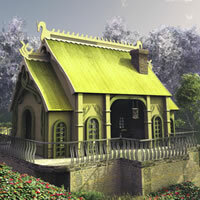 Order House of Nosferatu Carriage House & Vampire carriage R2 for Poser / DS, 3DS MAX, Bryce, Blender, Vue and Shade. 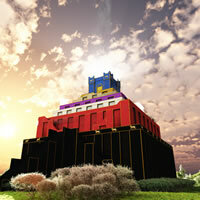 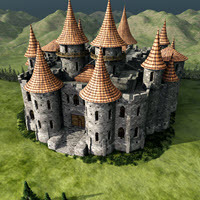 Order House of Nosferatu Castle Kit R2 for Poser / DS, 3DS MAX, Bryce, Blender, Vue and Shade. 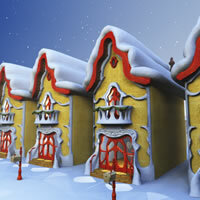 Order House of Nosferatu Guardhouse R2 for Poser / DS, 3DS MAX, Bryce, Blender, Vue and Shade. 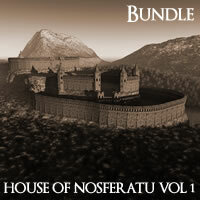 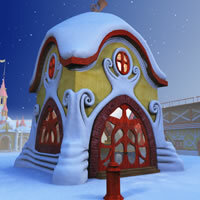 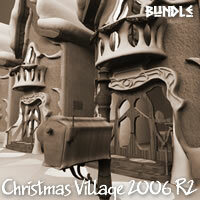 Order House of Nosferatu Inner Keep R2 for Poser / DS, 3DS MAX, Bryce, Blender, Vue and Shade. 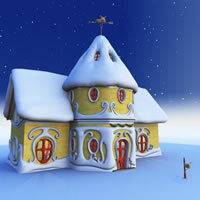 Order House of Nosferatu Master Bedroom R2 for Poser / DS, 3DS MAX, Bryce, Blender, Vue and Shade. 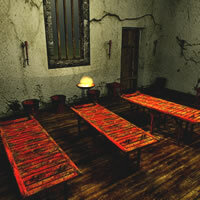 Order House of Nosferatu Torture Chamber R2 for Poser / DS, 3DS MAX, Bryce, Blender, Vue and Shade. 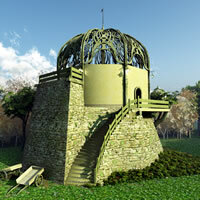 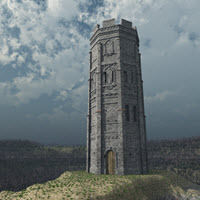 Order House of Nosferatu Tower of Evil R2 for Poser / DS, 3DS MAX, Bryce, Blender, Vue and Shade. 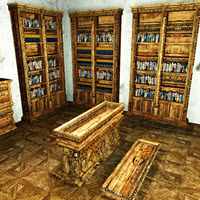 Order the 8 model set at a savings for House of Nosferatu Volume 1 Complete Edition for Poser / DS, 3DS MAX, Bryce, Blender, Vue and Shade.